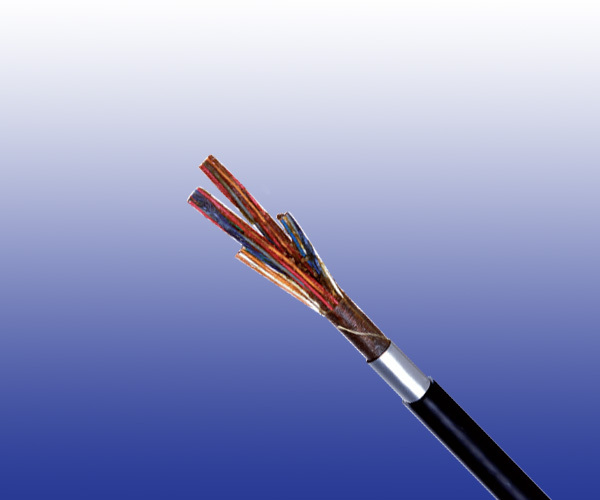 The cables are designed primarily for trackside railway installation in non electrifi ed area. For direct burial application, brass tape armoured or Zetabon type corrugated steel tape armoured can be offered against rodent attack. Conductors Solid plain copper conductor, 0.63 or 0.9 mm nominal diameter. Insulation Solid polyethylene to BS 6234. Stranding Pairs are helically stranded in 10 pair units. Outer Sheath Polyethylene to BS 6234. LSZH compound option can be offered upon request. Jelly Filled Cables: The cable core interstices are fi lled with petroleum jelly to avoid longitudinal water penetration within the cable. The water resistant filling compound is applied to the air space between non-hygroscopic tape and shield, shield and sheath within the cable core. Armoured Cables: Corrugated steel tape armour coated on both sides with copolymer can be applied over an intermediate sheath. The steel tape thickness is 0.145mm. Brass tape armour can be offered as an option.